For most of the Indian Entrepreneurs this man is the role-model. He, along with six other friends and some money (which he had borrowed from his wife) founded the Infosys company in 1981. In the last 25+ years Infosys had grown tremendously to become an IT giant and certainly one of the reasons for India to shine in this IT industry. 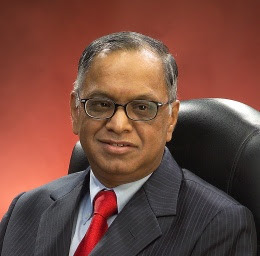 Today's news is that Narayana Murthy had sold some part of his shares in the company (worth about US$ 38M) and is planning to fund that money to brilliant Indian Entrepreneurs. His firm has plans to fund start-ups in health-care, education and nutrition. US$ 38 million is a huge money for India. With that money and his mentoring, I hope the Indian start-up and the whole ecosystem will have a great future. Here are my short review of some restaurants at Chrompet, Chennai. These reviews are based on my experience and taste bud. 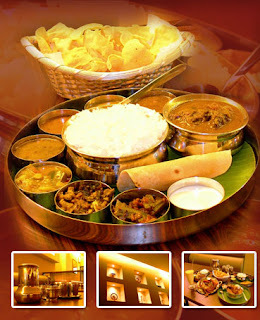 Few good things about Anjappar @ Chrompet are good taste, wide variety of food, fine ambiance, the popular brand name. Then the bad things are heavy crowd, cleanliness not so appealing and their poor service when the group was small. Kaaraikudi was good two years back, and I don't know what made them go so bad in the recent times. For the not-so-good food they provide, the price is too much. The Dhaba in the first floor is OK when compared to Kaaraikudi in the ground floor. As of today, I feel this is the best of the restaurants at Chrompet. Though their taste is not so great, their good service balance that. Don't miss the wide varieties of appams and Carrot halwa in this restaurant. I guess this is the only speciality Chinese Restaurant at Chrompet. Well other than that nothing is too special to mention about this. Can be visited once in a while. This is the oldest of Non-Veg hotels at Chrompet. Today, it stand no where near the new hotels. Need to improve a lot in all aspects to get more business. To describe this movie in one word, I would say - It is Impressive!!! Though the first half is slightly boring (OK I accept it was really boring), the real movie starts after the interval. From then on the story picks up speed, and with the excellent camera work, editing and awesome forest location, this movie brings in many things, that we have seen in some english movies. The story is about an efficient forest ranger, coming from a scheduled tribes, who has got his post through the reservation quota and five NCC girls, going into the forest and fighting against few foreign agents, who come inside the same forest with a dangerous motivation. Director Jananadhan should also be appreciated for bringing the sufferings of the forest tribes on the screen - though most of the dialogues about them in the first half are censored. As mentioned earlier, the camera and editing are awesome in the movie. The music could have been a little better, or even if it was good it didn't impress me much. Overall Peranami is a good action movie - without the normal masalas of our tamil cinema. Happened to watch the "Kamal 50" program in the Star Vijay TV, yesterday. As usual the Vijay TV had done an excellent work in organizing the event - especially I liked the design of the stage. The only bad thing was, instead of showing ads between the programs, they showed main program between the ads. 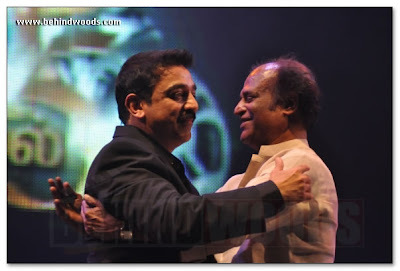 The highlight of the program was the Rajini-Kamal friendship. Both of them have spoken about this thousands and thousand times before, but still, it wasn't boring yesterday. From the decades wise videos that were shown in the program, I think the years 1980-89 should be the golden period of his career. He was successful in both the Masala and Class movies - Moonram Pirai, Nayagan, Sathya, Abboorva Sagodharargal, Sagalakala Vallavan, Kadhal Parisu, Kaakichattai and lot more. There might be many controversies about him, but undoubtedly Kamal Haasan is one of the finest actors I have watched. In future I hope he gets us more wonderful movies to watch.